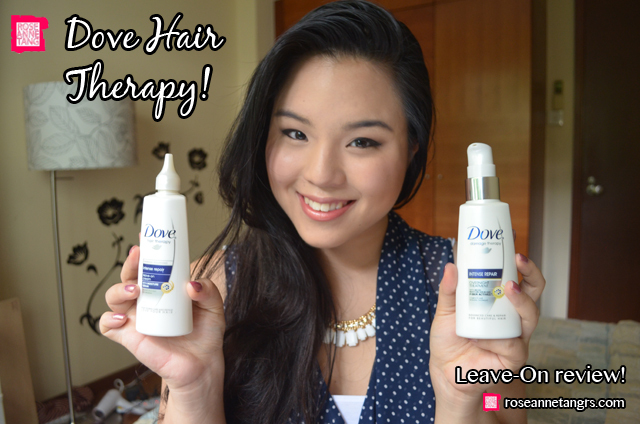 Dove Hair Therapy Leave-On Review! When I’m having a bad skin day or my eyes are uneven, there’s make-up but when I’m having a bad hair day…it’s not so easy. I’ve been blessed with quite obedient hair but it tends to have an attitude of its own. When I’m tired, it lies flat and when the weather is dry, it can knot up horribly. 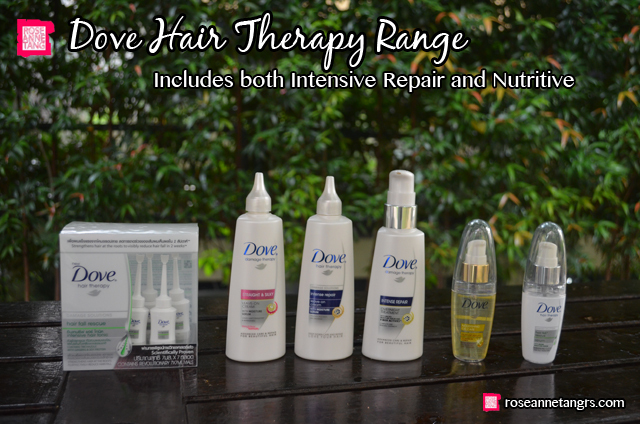 Thankfully, I do use a couple of hair products that can help and today I’m happy to introduce to you Dove Hair Therapy’s leave-on products. Pictured from left to right: Dove Hairfall Tonic, Straight & Silky leave-on cream, Intense Repair leave-on cream, Intense Repair Overnight Treatment, Nourishing Oil Care serum and Hairfall Rescue Serum. The Dove Hair Therapy range is great. Although you commonly associate Dove with body care (or even chocolate ;), there’s finally a hair range that understands that everyone’s hair is unique and different. That’s why the Dove Hair Therapy range includes Damage Solutions to repair damaged hair and Nutritive Solutions to nourish hair. Out of all these leave-on great products, my favourite has to be the Dove Leave-on creams. These are so handy especially on the go when you have someone to impress or if you’re feeling like your hair caught too much sun. 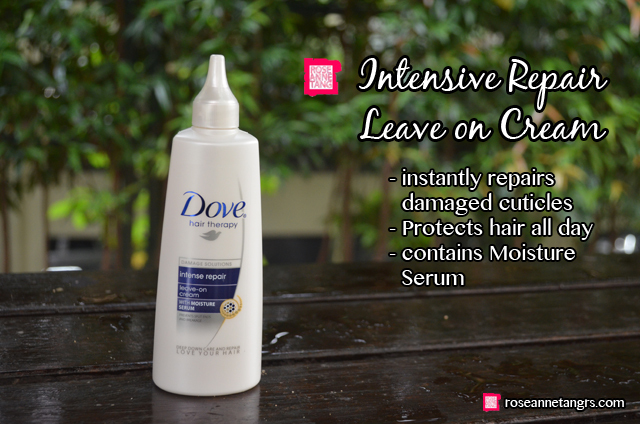 The Dove Intense Repair is my favourite. It contains Moisture Serum that instantly repairs severely damaged cuticles and protects your hair throughout the day without making it limp. 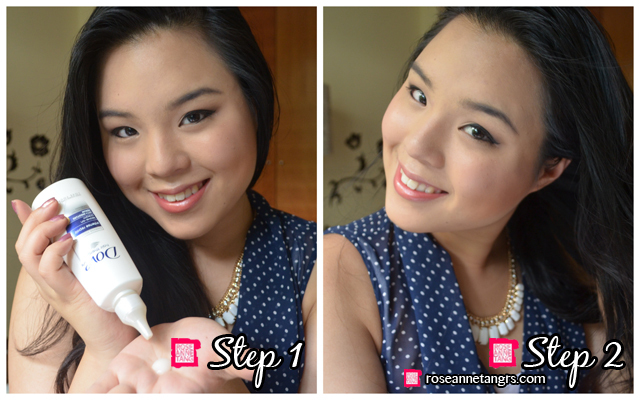 It comes in a squeeze bottle and its so simple. Just twist the cap, give it a little squeeze in your palm, rub your fingers together and comb through your hair with your fingers. 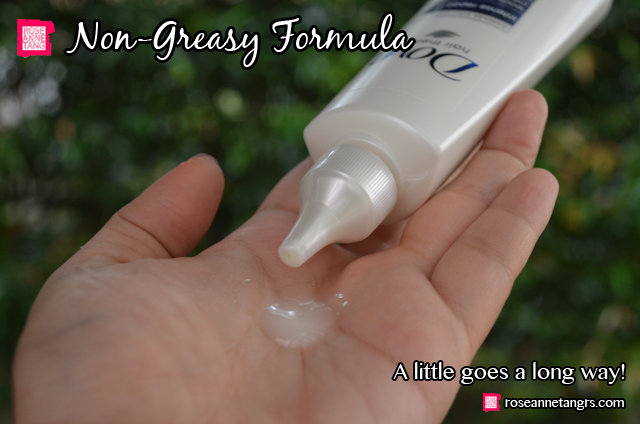 It doesn’t give you a greasy feeling on your hair like other leave on creams can and blends into your hair really well. 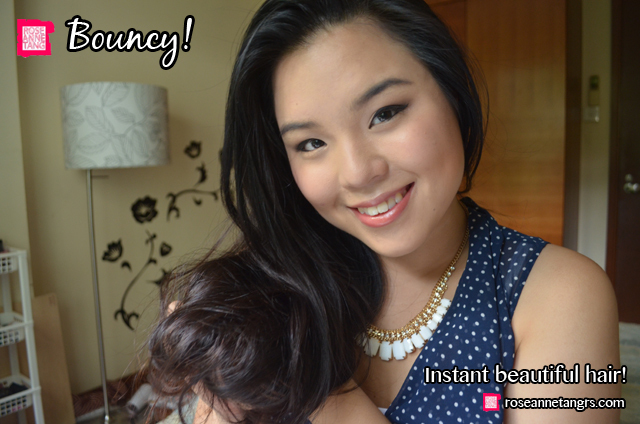 The result I always get is super smooth hair without the tangles. I bring this around in my bag at all times because you never know when you’ll need a quick hair fix – especially when it comes to keeping your hair looking less like a frizzy mess (or knotted in my case). As you can see, my hair looks calmer overall! I also love the Hair Fall Tonics (the little vials you see) – they are so good and work each time I apply it on my scalp after washing. I see visibly less hair fall on my comb after using it for about 2 weeks. I also love the overnight treatment. It helps to repair your hair overnight and when I wake up, my hair feels super silky. I love how its no fuss. All I have to do is sleep to get great hair! Dove has also always been close to my heart. Their Hair Tips of Real Beauty campaign really struck a chord with me and I am so excited to share with you that I am a Dove Girl and you can see me showing you how to do different easy and pretty hair styles on www.dovehairtips.com. I’ve been working hard with them the past few weeks and chose a few very wearable yet unique styles that I’m sure you’ll love! There will be 4 other tutorials so stay updated! What’s even better is that if you want to be the next Dove girl, simply take a picture of you and your favourite hair style that you did yourself and tell Dove why you love it! 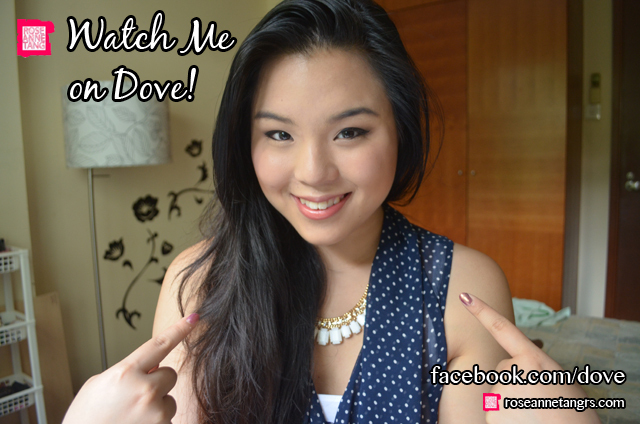 You could be the next Dove girl! There is a FREE Dove gift for every single entry. 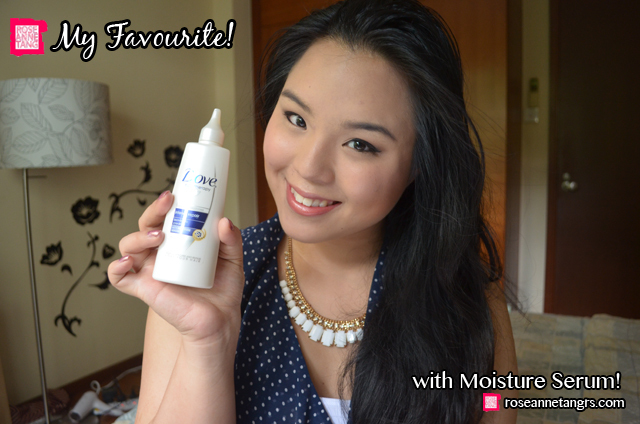 If you win, you get to be the face of Dove’s next campaign AND win a year’s supply of Dove hair care products! Visit www.dovehairtips.com for more information! A Guide to MAC Lipsticks & Swatches too!